Preheat oven to 425 degrees F. Line a baking sheet with foil. Rinse the sweet potatoes and pierce each one all over with a fork. Place the potatoes on the prepared baking sheet and bake for 45 minutes to 1 hour, until the potatoes are fork tender inside. Remove from the oven and allow to rest until cool enough to handle. While the potatoes cool, blind bake your pie crust. Place your pie crust into a 9-inch deep dish pie plate. trim off any excess dough from the edges of the plate. Embellished the edge of the crust as desired (pressing a for into the dough is a simple decoration that makes the pie feel a little more homemade). Measure a piece of foil (or parchment paper) large enough to fit over the pie dough. Carefully place the foil into the pie plate, over the dough, and press it down to cover the side and bottom of the dough. Pour 1 pound of dried beans (or pie weights) into the pie plate on top of the foil; spread them out evenly. Bake the crust for 20 minutes, or until the edges of the crust are lightly golden and the side and bottom are set. Remove from the oven. 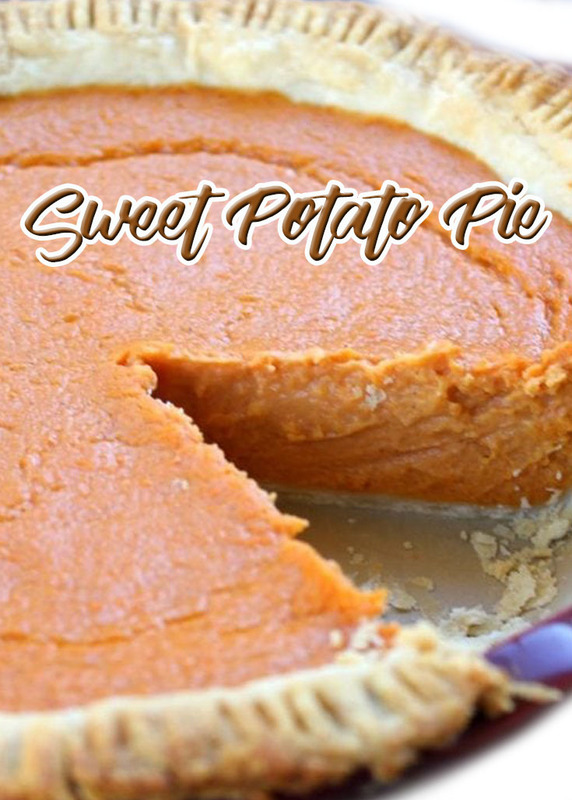 Cut each sweet potato in half and scoop out the center using a spoon. Discard the skins. Place the potato flesh into a food processor or blender (you could use a hand mixer and a regular mixing bow, bot the filling won’t be as smooth). Add the brown sugar and maple syrup. Blend until combined and smooth. Add the egg and blend until incorporated. In a small bowl, stir together the flour, cinnamon, ginger, and salt. Add to the sweet potato mixture and blend until combined. Pour in the buttermilk and cream and blend until smooth. Pour the pie filling into the prepared crust. Give the pie plate a little shake (carefully!) to evenly distribute the filling. Bake for 30 to 40 minutes, or until the outer edges or the filling are set and the middle is still slightly wobbly. Remove from the oven and place the pie on a wire rack to cool completely. Once the pie is cooled to room temperature the center will have set up. If you rush things and cut the pie too early, the center may still be on the runny side.